IT’S MY FAVOURITE TIME OF THE YEAR… AUTUMN!! It’s the time of great fashion, beautiful oranges, toffee apples, cute scarves and berry lips and I am so excited to be doing my second, ever, favourites on my blog! Whilst I know it isn’t the end of Autumn yet, as I do my favourites seasonally, I like to publish them around the middle of the season so that they’re still relevant and people can still go out and buy them for the remainder of the season. First of all, I have been loving The Flawless Eyeshadow Palette by Make up Revolution! Although I did also love this in Summer, the copper/bronze/gold tones in the middle of the palette just scream Autumn to me, so I’ve been so excited to be able to experiment with those a bit more this season! Another make up product that I have been loving is the NYX Soft Matte Lip Creams! These are a Matte, liquid lipstick, but the colour isn’t too bold and they are quite moisturising on the lips, as well as pretty long lasting! I have been wearing these every day since I got them, I honestly couldn’t love them more! I recently discovered a company online called ElliceLydia. This is only a small company, but they hand make the PRETTIEST underwear in a huge variety of sizes, up to cup size GG! So this means that even women with bigger busts can have pretty underwear, it’s so amazing and I’m so glad I found them! I have also been really loving the TV Show Victoria at the moment! It’s on ITV on Sundays at 9pm and, although I do believe that the last episode is due to air tonight, you can watch all of the episodes on the ITV Hub! This is an 8 part series all about the life of Queen Victoria and, honestly, it is fascinating! She was a right little fire cracker and I love her and this series, and Jenna Coleman is as amazing as always! In terms of fashion, Matalan actually have a great range in at the moment! I picked up a beautiful burnt orange scarf and a very Autumnal jumper from there the other week and I’ve been loving them! Everything 5 Pounds have also killed it this Autumn! 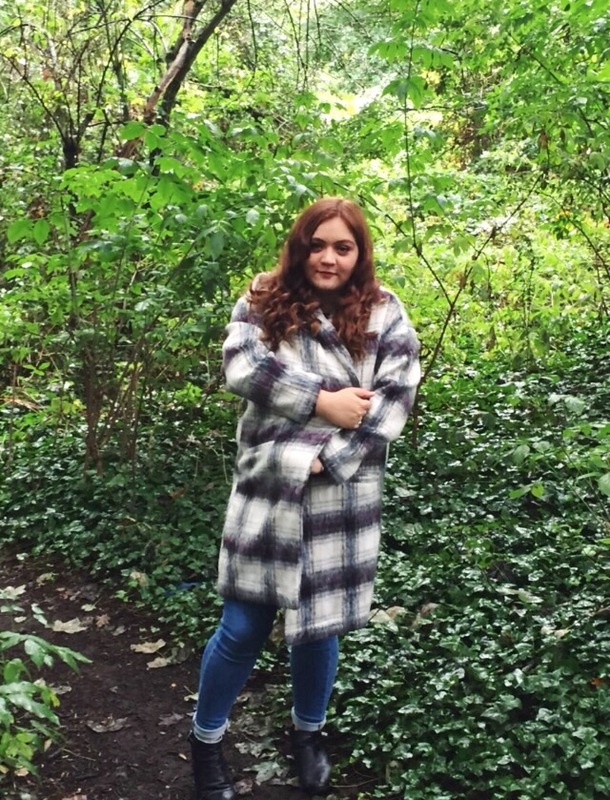 I’ve been in love with this coat (featured in my Look Book) for those cold mornings, and I also ordered a soft pink turtle neck from there the other day which is amazing quality, so soft and so snuggly! I’ve also been very into the brand new Rhubarb Crumble candle by Yankee Candle, it smells like baking and sweets and it just makes me oh so happy! I reviewed the 4 new Yankee Candle Harvest Time Collection candles in an earlier blog post if you fancy a read! And that’s about it for this season! I hope you enjoyed reading, let me know in the comments what you’ve been loving so far this Autumn!